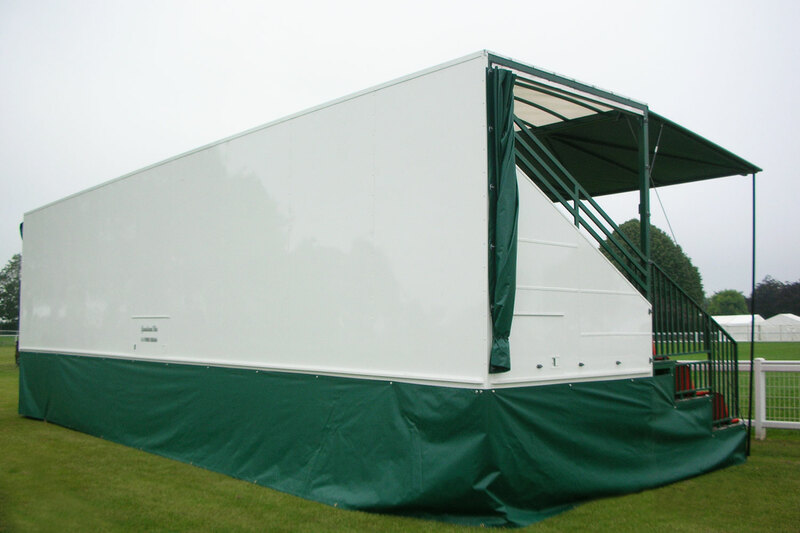 We operate throughout the UK from our centrally located base in Bishops Castle, Shropshire – supplying temporary portable grandstand seating for shows, sporting events, roadside events, spectator events, carnivals and parades. 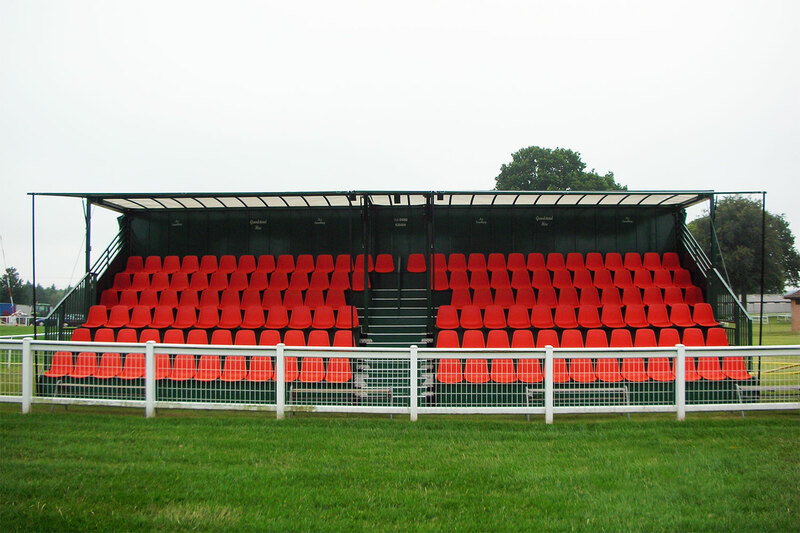 Scroll down to view our Grandstands for hire. Allowing us to set up in less than an hour. Seating 150 spectators in comfort. Block of 150 seats measures 44ft x 16ft. 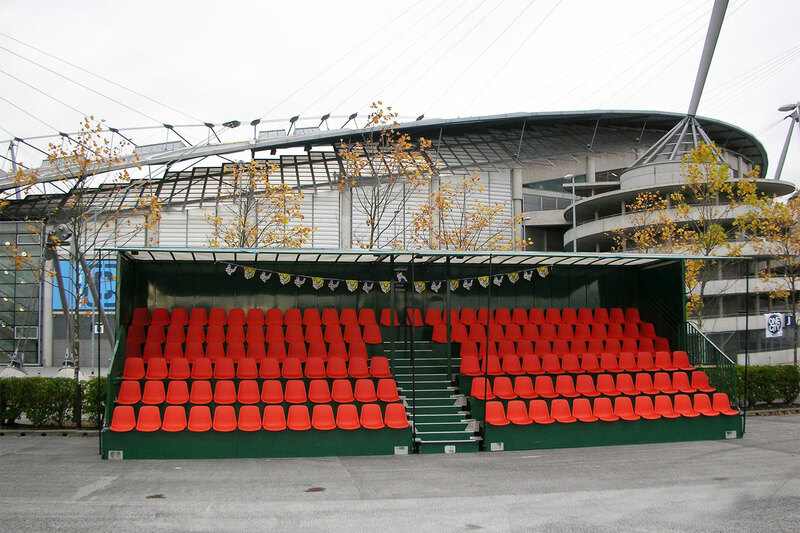 Tiered seating folds into a lorry trailer unit. 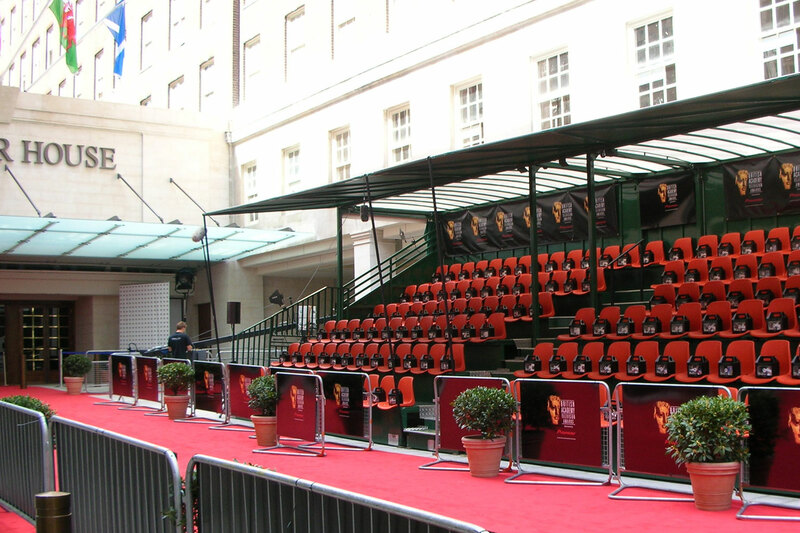 Grandstand Hire supply outdoor covered seating for prestigious events such as the BAFTA Awards at the Grosvenor House Hotel, London. 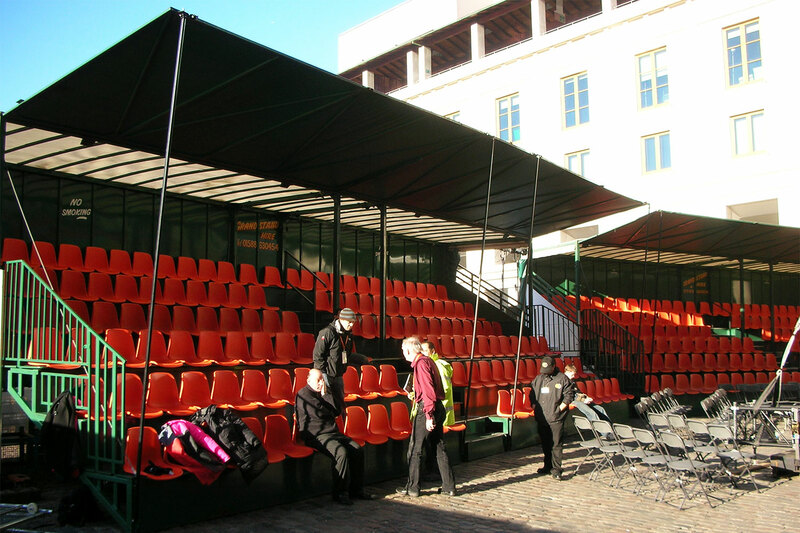 Setting up grandstand seating for an outdoor film screening at Covent Garden, London, showing the versatility of outdoor temporary seating from Grandstand Hire. Outdoor seating hire for a machine demonstration event set up on a factory car park. 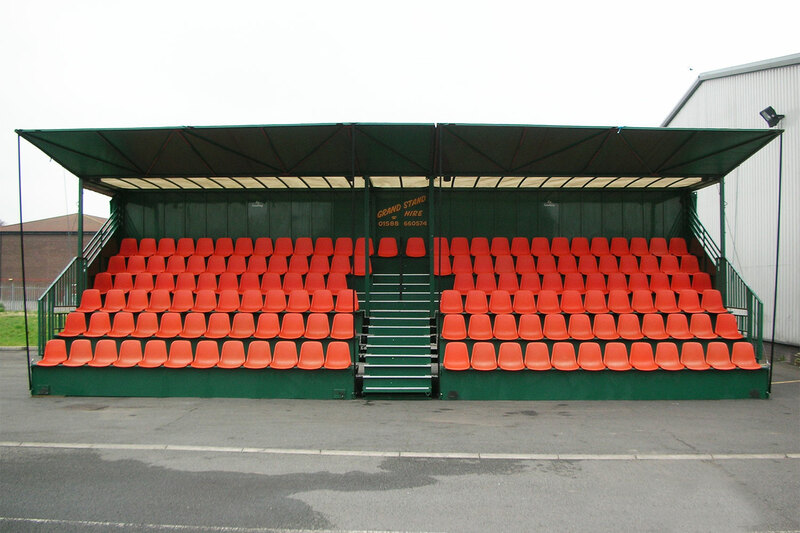 Our outdoor temporary seating can be supplied for use on grass or tarmac surfaces making them suitable for events of all types. 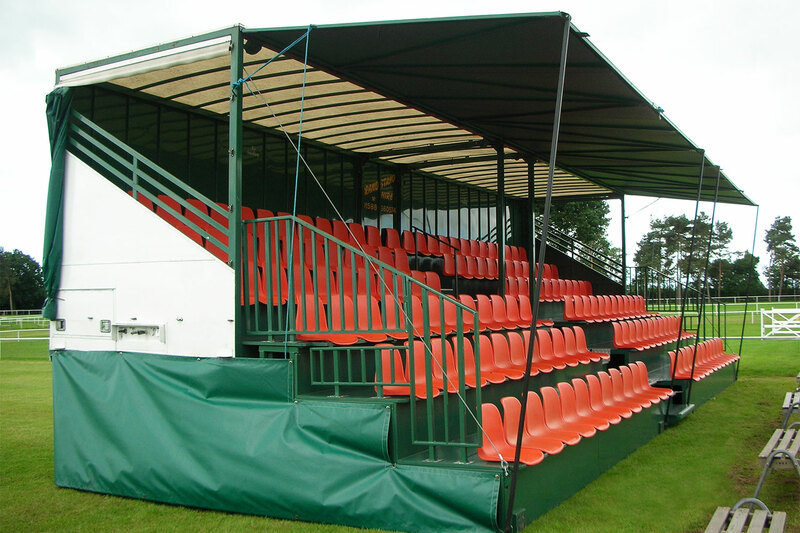 Because they are retractable they can be set up in less than an hour and removed just as quickly once the event has finished – ideal for roadside events such as carnivals and parades. 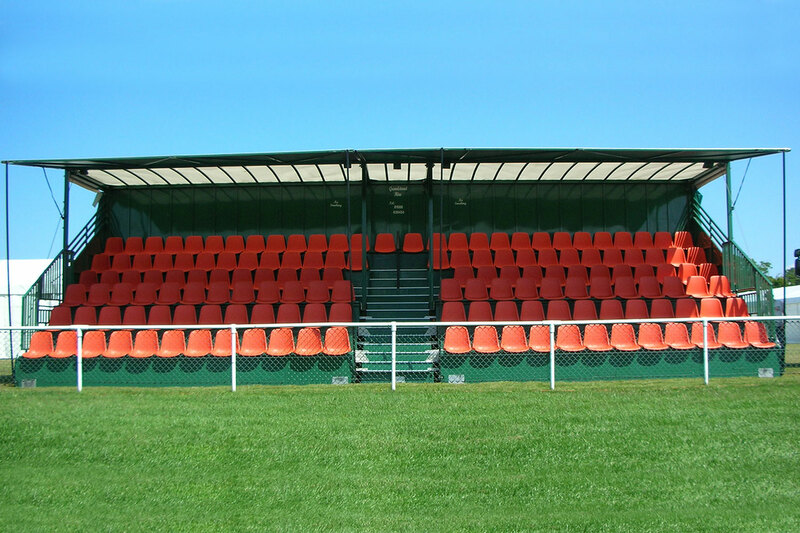 Side and back view of grandstand seating supplied by Grandstand Hire for use as temporary outdoor seating at one of the country’s many county shows. I agree to Grandstand Hire contacting me with marketing information relating to my enquiry and on the other services that they offer. This may include email and postal information and marketing. In order to do this Grandstand Hire will retain details of my name, company, address and other data on the services I am interested in and commission from them. I understand that this information will not be shared with other parties and that I may request a copy of the data held and may also request that Grandstand Hire stop sending me this information at any time by email to [email protected] or by telephone on 01588 630454.